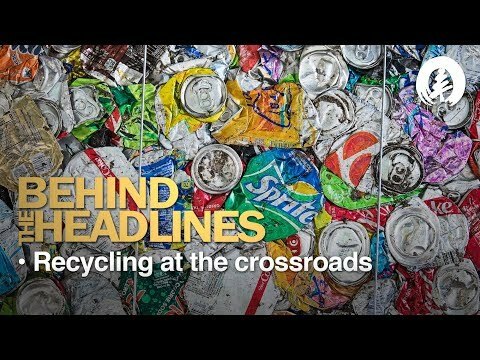 Phil Bobel, Palo Alto's assistant director of Public Works, talks about the uncertainty facing the city's recycling operation since China has become unwilling to buy recycled items that are considered "contaminated." Palo Alto Weekly Editor Jocelyn Dong and Associate Linda Taaffe explore the impacts of the change and ways that cities are responding. Read the story here. Watch the webcast here or listen to the podcast version of the episode here. We now have a podcast! Listen to Behind the Headlines while you're on the go by downloading free episodes of our new podcast, now available through Apple or Google Play. China doesn't need to lower itself anymore by taking in U.S. recyclables. Its global steel and manufacturing output far exceeds what they would make recycling someone else's garbage. As a result, this will now be farmed off to the poorer 3rd world/developing countries who need the revenue.